Hometown: Grew up in Mesa, AZ, spent 25 years as a golf professional in Anchorage, AK and is currently owner/operator at Prairie Falls Golf Club in Post Falls, ID. PGA Professional Since: “I am currently a 33-year apprentice, which I am pretty sure is a record that no one will or wants to ever break. I am still waiting for Jeff Ellison to give me my quarter century award,” jokes Bomar. He also cites his college golf coach, PGA Member Bruce McNee, as an inspiration. 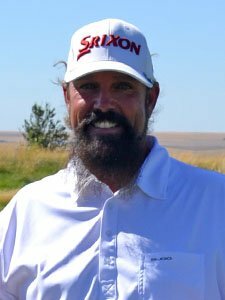 As for Section wins, Bomar also won the Senior Oregon Open Invitational in 2015. Thank you, Billy Bomar! We are excited for your Class A!